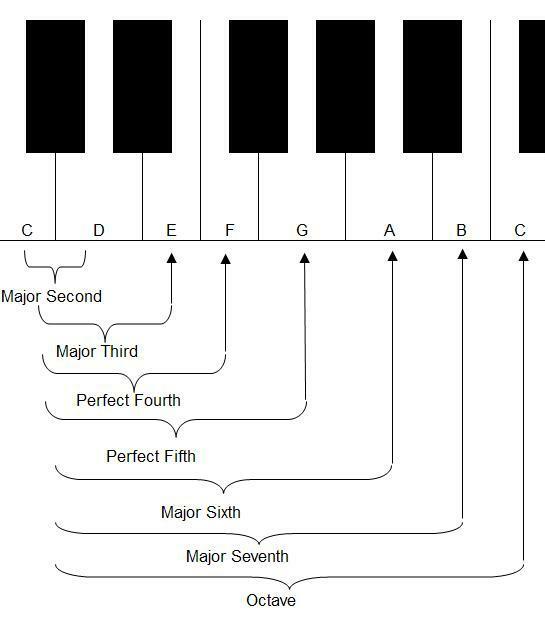 There are two ways intervals can be notated in music. The first is Melodic and the second is Harmonic. Harmonic – intervals happen when two pitches are played at the same time to produce a ‘harmony’ as in the visual example above. Now that we know that a musical interval is the space between two different pitches we can start to appreciate why knowing the exact distance between two pitches would be a very helpful tool when playing a melody or trying to figure out which chord to play. If we can identify the interval in our head we can play them on an instrument. Music is constructed using intervals. 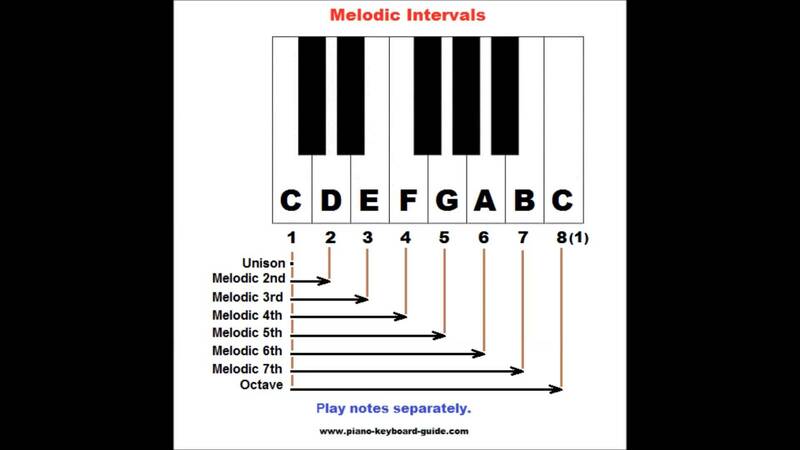 You can see some of the specific types of intervals found on the piano keyboard below. Sing ‘Jingle Bells’ in your head and then try to play it on the piano. Put your right hand at ‘C Position” (your thumb on C) and starting playing the melody on an E (your middle finger). Is the next pitch higher or lower than the pitch you are on? How far away is it? Just a step or is it a larger leap? How far is the next pitch away from the one you just played? Can you guess which note to play next by judging the distance you sang to get to the next note? Try doing the same process with another song you know. The more we practice doing this the better we can play any melody that pops into our hear. If you can hear it you can play it. We have two ways of identifying intervals. 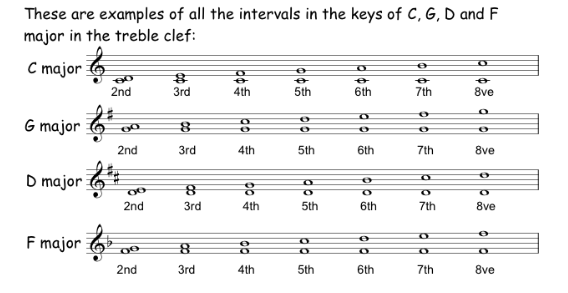 Practice identifying intervals using your ear and by recognizing them on the printed music. Use the resources below to help.